Hey friends, here are the things I've done to save money lately. 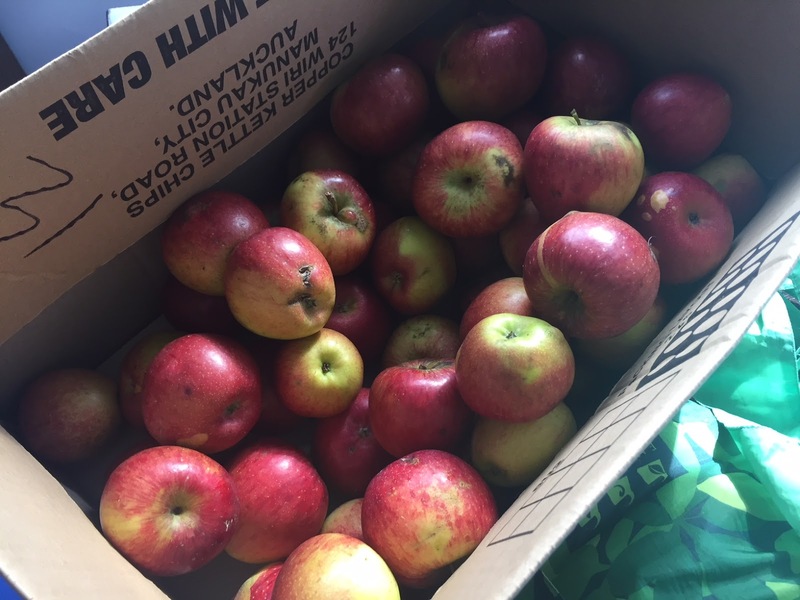 I bought a box of (delicious) apple seconds for $5 from an orchard in Oratia. L eats several apples a day, so we'll go through most of these fresh, but I might also make dried apple slices in the dehumidifier with them. I've been making lots of green smoothies for myself, using the abundant kale and spinach growing in my garden. 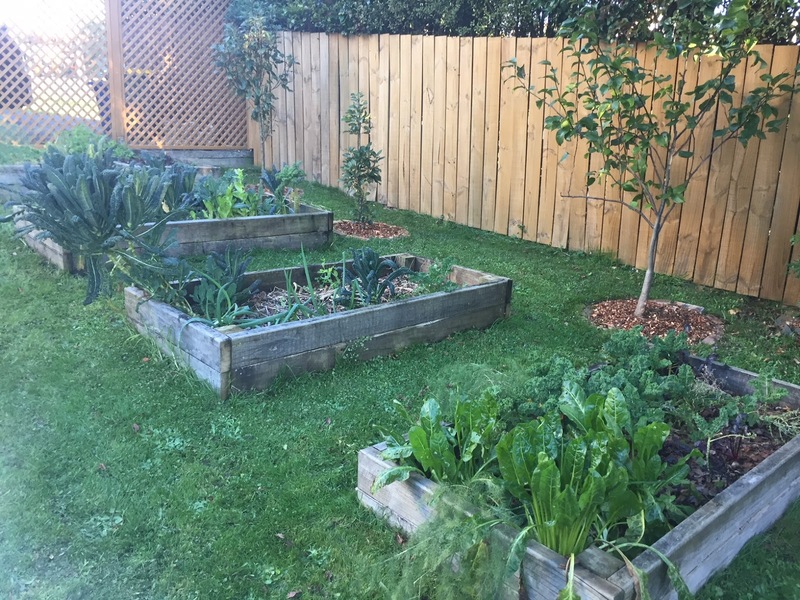 I collected kale seeds from spent plants earlier this year and sprinkled them around in several of my raised beds. Now I've got loads of new plants popping up all over the place. 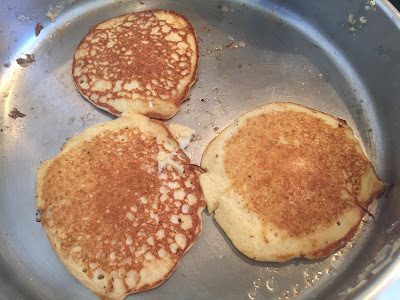 My kids have been really enjoying blender oat pancakes for breakfast lately. It's an old recipe on the blog, but a good one. I got a good deal on rolled oats at Pak'N'Save, so bought a couple of bags to make this recipe. I've been making a new batch of milk kefir out of milk powder every couple of days to keep the quantities we need for these pancakes. 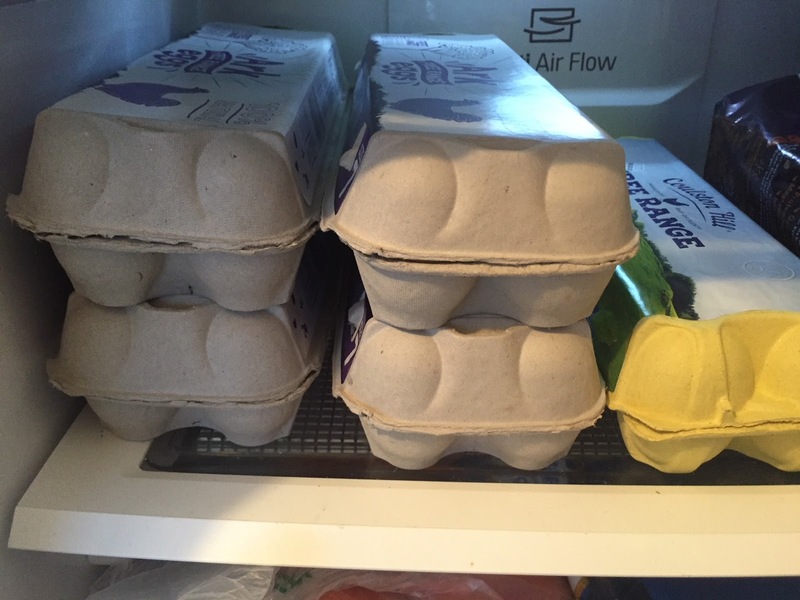 I found a good deal on free range eggs at a local fruit and vege store, so I bought four cartons. 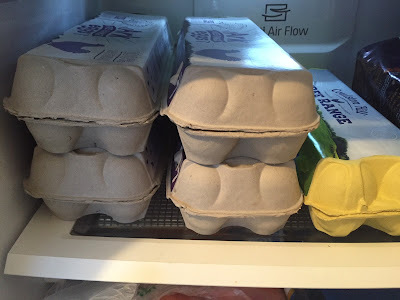 These will come in handy for our blender oat pancakes. I also love poached eggs on toast, and I'm planning to make this Shaksuka recipe for dinner one night this week, which will use a few eggs. L has been enjoying eating frozen blueberries mixed into homemade yoghurt as a snack lately. I took the advice left for me in one of your comments and started making my yoghurt using 2T of Easiyo powder and 1 cup of milk powder. It means that a packet of Easiyo powder makes about eight litres of yoghurt, instead of one. 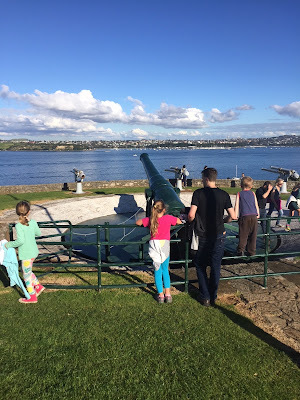 Our family visited Maungauika / North Head in Devonport on Saturday and spent a good couple of hours exploring the mountain and its various tunnels. I had been waiting for a sunny weekend day to go, and Saturday dawned bright and glorious. 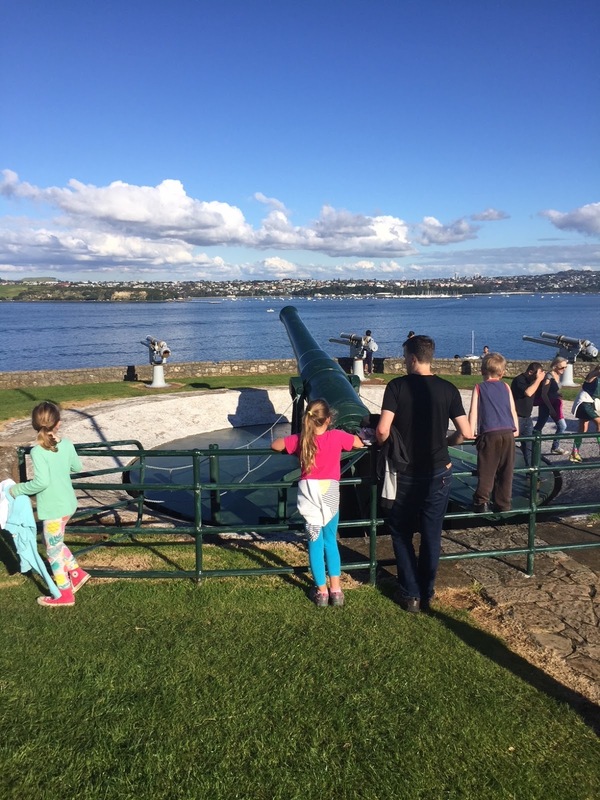 The views of Auckland Harbour were stunning. I'm planning to do another post about this trip, so look out for that. 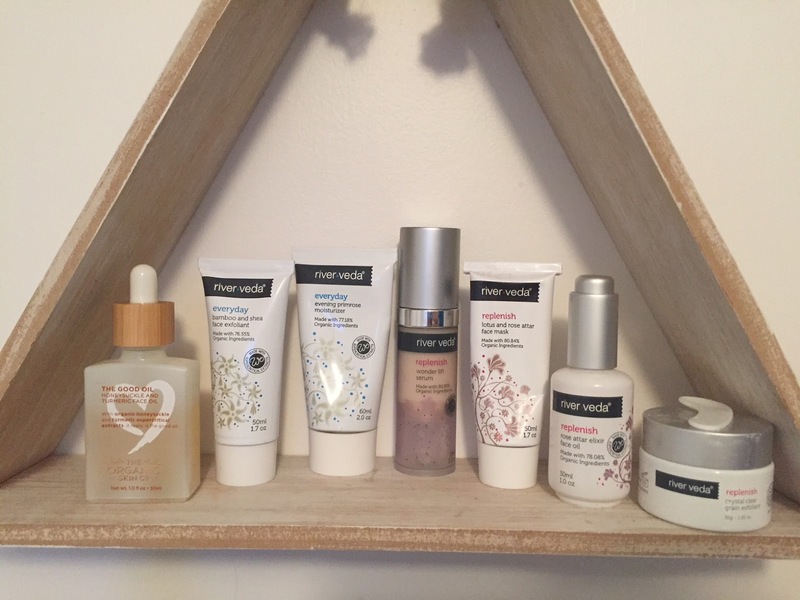 I've started giving myself facials each night before bed, using some of the delicious World Organics products that I sell. I'm really enjoying this Everyday Carefree Cleansing Milk, which feels so gentle and hydrating on my dry skin. I love teaming it with the Everyday Bamboo and Shea Face Exfoliant, which leaves my skin feeling incredibly smooth and vibrant. And that's all my frugal news. What have you done to save money lately?